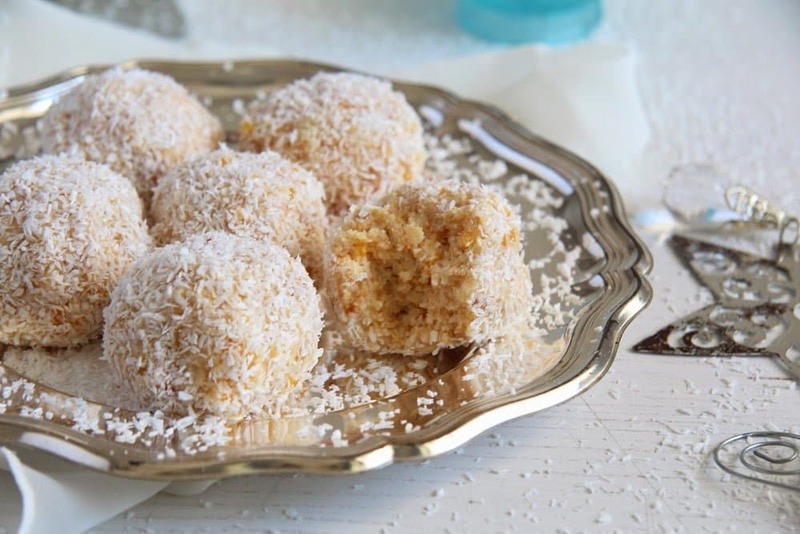 An easy and delicious way of using leftover cake scrapings: mix them with chopped fruit and whipped cream, roll them in coconut flakes and you will get wonderfully tender and refreshing snowballs. Now that the snow is finally here to stay (for at least a few days, hopefully), I made some little pineapple coconut cakes to suit the weather. 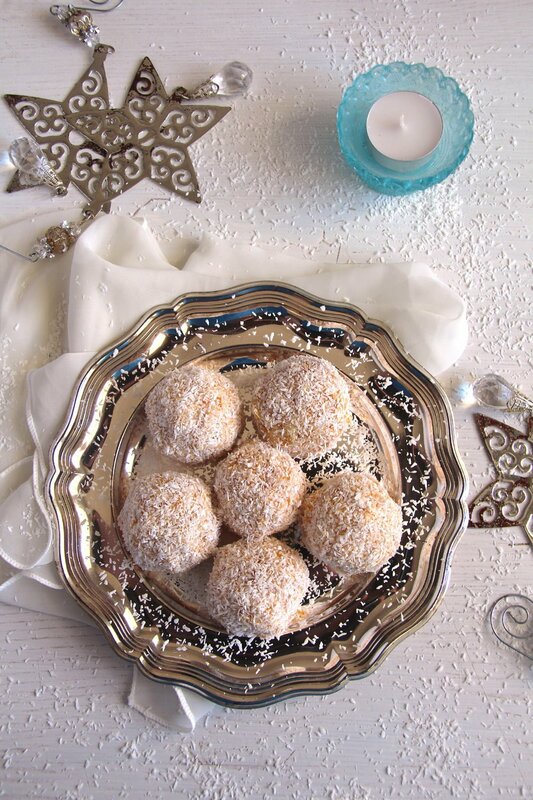 The children enjoyed the snowballs a lot, so I thought about posting the recipe, although I am very unpleased with the photos I took. The light was not very good and I am not so experienced with picture taking anyway, there is so muuuuuuuuuuch more I have to learn about it. But the snowballs were really good. I made them with cake rests that I had in the freezer, but you can make them with freshly baked cake if you like. You can also replace the canned pineapple with some other canned fruit, I think peaches or apricots would also be good. 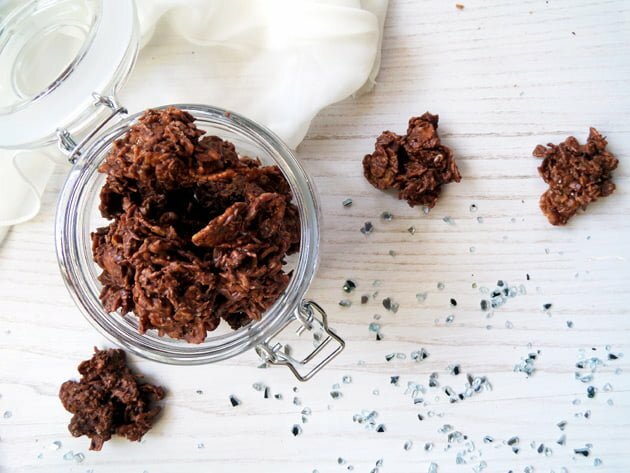 It is a good recipe for baking with children as well, my kids loved crumbing the cake, mixing the crumbs with the rest of the ingredients and forming the balls. Preheat the oven to 180 degrees Celsius/ 350 degrees Fahrenheit. Grease the bottom of a springform (26 cm/ about 10 inch diameter), cut a round piece baking paper to fit the form and place it inside the form. Do not grease the edge of the form. Separate the eggs. Beat the egg whites and the 2 tablespoons warm water until stiff. Slowly add the sugar and beat until the mixture gets stiff and glossy. Add the yolks and stir them in gently. Mix the flour and starch together, sift them over the egg mixture and fold in carefully. Pour everything in the prepared springform and bake for about 25 minutes until golden. Take the cake out of the oven, run with a knife around the edges and turn it onto a cooling rack. Remove the baking paper quickly but carefully. Let the sponge cool completely. Chop the pineapple into small pieces. Crumb the cake in a large bowl and mix it with the pineapple pieces. Whip the heavy cream, the stabilizer and the vanilla sugar together and add them to the bowl. Mix everything very well then start rolling the balls. You will need to wash your hands after every 3 or 4 balls, it will make the rolling easier. 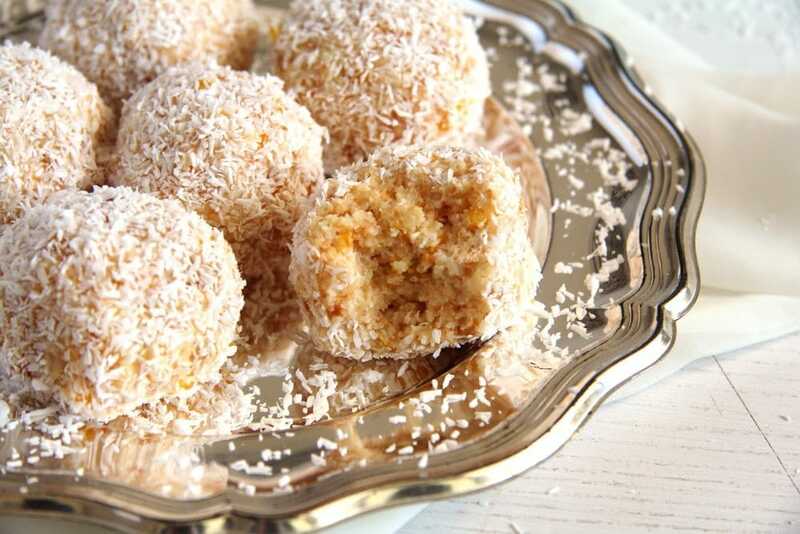 Place the grated coconut on a large plate and toss the balls in it until they are covered with coconut all over. 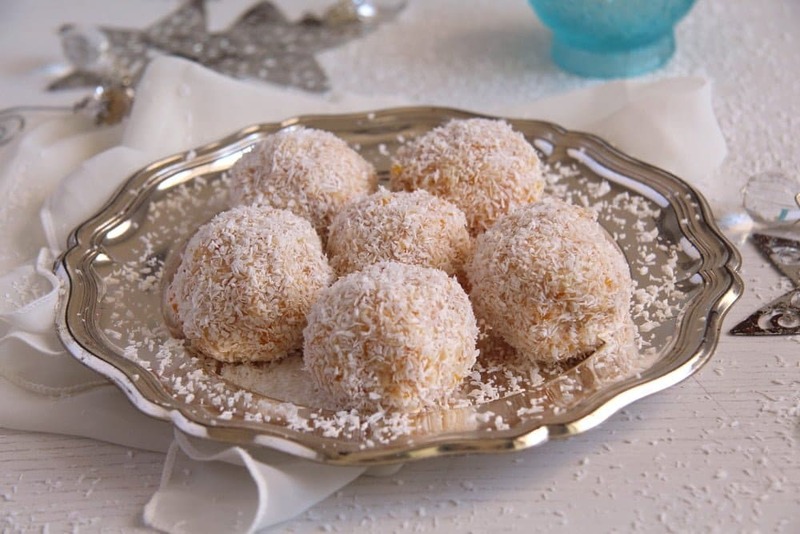 Place the snowballs in the fridge until ready to serve, at least 1 ½ hours. My childen (7 and 5 years old) love to bake the snowballs with me, and they would like to eat them every day! Mine too. We will have to make these again this winter. ?